Pastor Dean continues with reports on his trip to Israel with his visit to the Knesset and the Holocaust Museum. Two vital issues for this governing body are these: what’s going on with Arab Spring and what’s going on in Iran. The liberal and the conservative views are explained. In Romans 5:12, we see the comparison and contrast between Adam (the first Adam) and Christ (the second Adam). We also take an in-depth look at sin, including its definition, its penalty, its nature, and how it is passed on. Why is death referred to as THE death and what are the seven different deaths? The instant Adam ate, before transgression was defined in the law, the human race died. There are many kinds of death. What are those deaths and which one, or ones, occurred because of Adam’s sin? There are consequences to all men for the disobedience of Adam and for the obedience of Christ. Understand the differences in those consequences and how they not only apply to eternity, but also apply today in our lives experientially. What is experiential righteousness? How is it related to our spiritual life? May we have a conversation with just anyone about spirituality and have confidence that we’re even talking about the same thing? Spirituality is a popular term today, but its meanings vary widely. Without a Biblical absolute as a definition, any conversation about Spirituality is simply shared ignorance. As one's born positionally dead, how do Christians, in their newness of life, avoid LIVING as though they were dead and realize the potential God has for us to live in the righteousness He has provided? Phase II salvation is related to sanctification; learning to think and relate to one another. It takes time to rethink the baggage that comes from living in this world. May we conclude that the ethical, moral man is spiritual? Is the mandate to the Church to make it comfortable for everyone to fit in? What is the role of the Holy Spirit in spirituality? Contrasts and definitions of life, death, spiritual life and sanctification are clearly given in this lesson so that these terms are no longer a mystery in the Christian life. Spiritual life begins when we believe in Jesus Christ as savior. This is not an end moment or a pause, but the initial thrust of God’s after burner that propels our potential to consume truth and focus on the transcendent difference God provides in our nature that empowers us to live differently in this life with consequences in time and eternity. Knowing who we are in Christ is the cornerstone of understanding spiritual growth. From there we move through Paul’s explanation of spiritual growth as a choice, plus truth, and the impossibility of achieving that growth independent of the Holy Spirit. We begin with a summary of what Pastor Dean learned at the Southeast AIPAC Regional Outreach Director’s Summit for Christian Leaders. Understand our new identity in Christ and the exclusive role the Holy Spirit has in our walk. This may be an abstract concept, but it is reality that is truer than empirical evidence can support. We are baptized by the Holy Spirit at salvation, a purification rite for us into Christ’s death which creates our own death to the tyranny of sin. But we continue to sin. The solution is supernatural, but ours none-the-less, to walk by the Spirit using knowledge of the Scripture which leads to a mature response to grace and abundance in this life. What are the eight baptisms and the roles some play in the life of the church age believer? 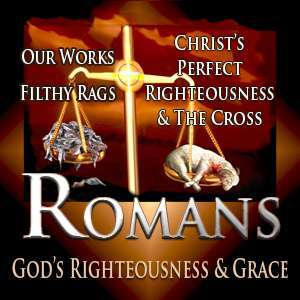 Romans 6 introduces us to a radical change that takes place once at salvation. The change isn’t an experience. Understanding identification is the reality, a prerequisite to comprehend how experience can be realized. Picture the act of baptism, going under water, as a teaching tool. Just like Christ, we are not only dead to sin, but further, buried to it. Christ did not remain dead and buried, and like Him, we too emerge from burial to a unique position where sin’s power over us is defeated, creating a fundamental and permanent change, giving us an open ended potential for the spiritual life. Beyond mere ritual, Christ performs the reality by means of the Holy Spirit to raise us up with Him, free from the tyranny of sin. As a believer what is my relationship to sin? Did the Baptism of the Holy Spirit destroy it completely so I can approach a higher realm of perfection? Are we in our resurrection bodies? The comfy carpet of self-serving sin has been yanked as our foundation and replaced by the potential of spirituality which we had NO capability to exercise before salvation. That’s a huge difference. We’re supported by a different mattress and given a PhD in spirituality before we’ve even matriculated. Do we risk attending class so that we can begin to exercise our elite position or remain satisfied with the honor and return to life as it was, filthy but familiar? What died? Is sin dead or is it the old guy who was so comfortable reclining in the filth? The old guy is dead. Beating that dead horse is futility. Serving the new master is life.